contentgroup was approached to provide communications support and content production to promote Curry in the City on digital and traditional media platforms. 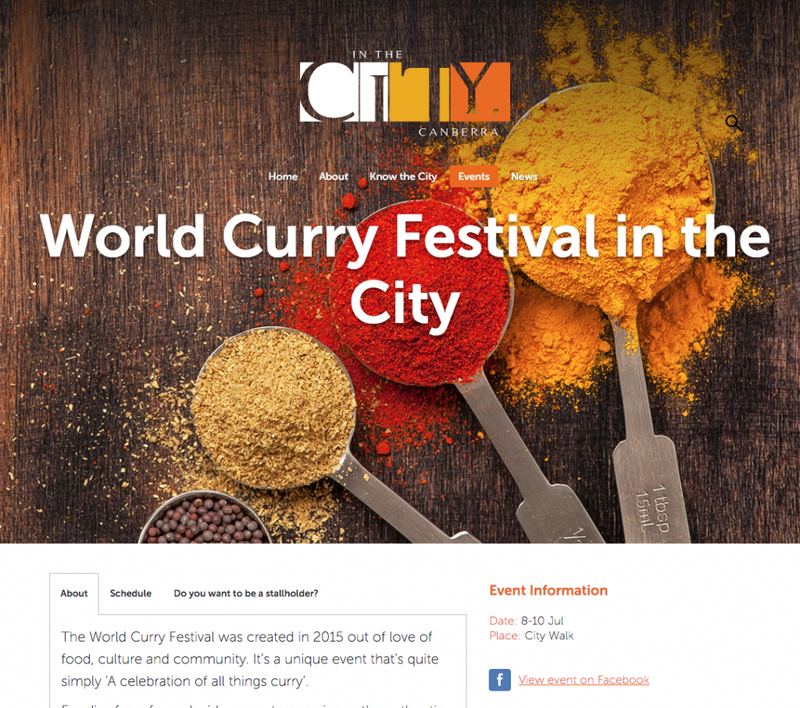 Curry in the City is a food festival conducted by Canberra CBD Limited to raise community interaction and engagement. 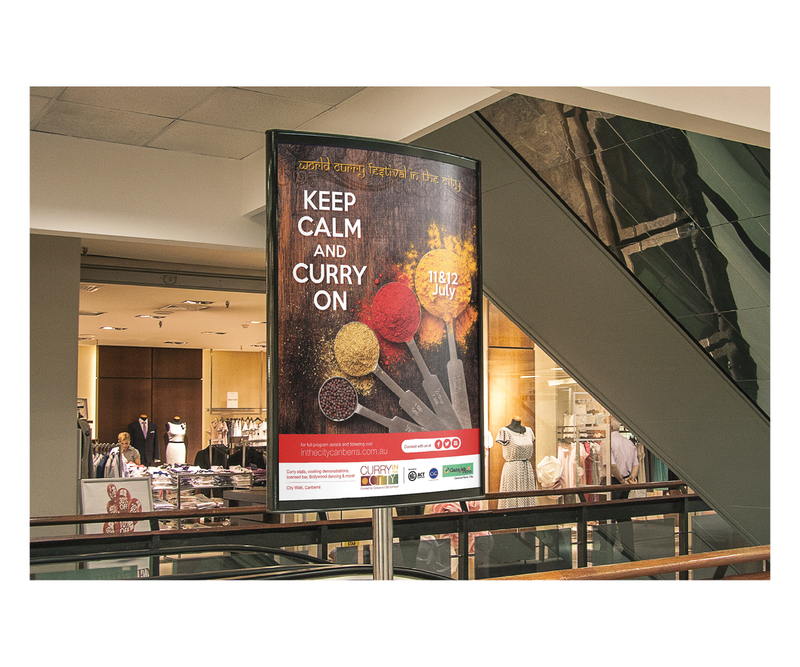 The title of the event is “Keep Calm and Curry On”. We created a logo and branding to promote the festival. 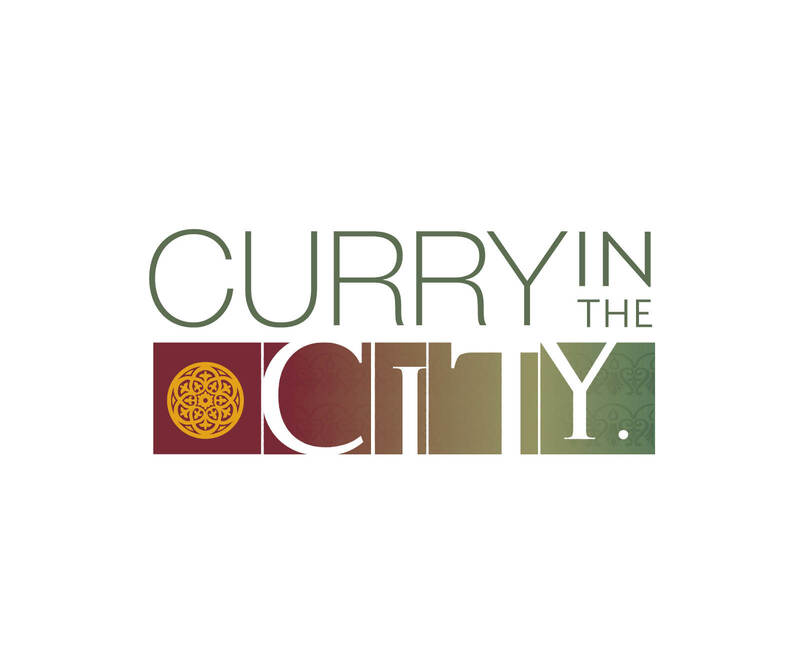 The logo incorporates the basic design of the In the City logo with Indian aesthetic influence and the title for the event. We then created a series of posters, flyers and website material to promote the festival online and throughout the city at various events.